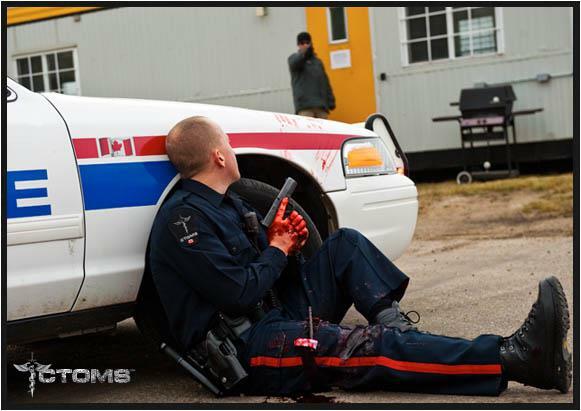 We have a semi-open course we are running from May 19-22, 2013 in Edmonton, AB. It’s a Police Medic Level 1 course. The course is open to current serving law enforcement officers or TEMS Paramedics. You will require a letter from your agency verifying your position. Cost per person is $2,485 CAD plus GST. Transportation, Lodging and Meals are NOT included in the cost. Please contact craig.keller@ctoms.ca to book or for more details ASAP as there is limited space available. I often get asked if different rope can be substituted in our TRACE™ Systems kits and devices, so I thought I’d share some images to get the point across. 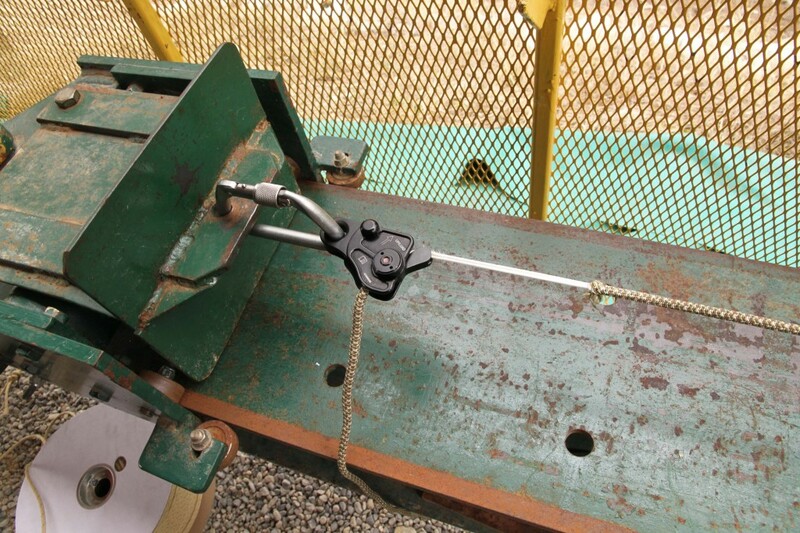 The first point I’d like to make is that the cycle fatigue testing has only been conducted on the 6mm TRC. If you substitute ropes, you’re on your own when it comes to longevity and durability. 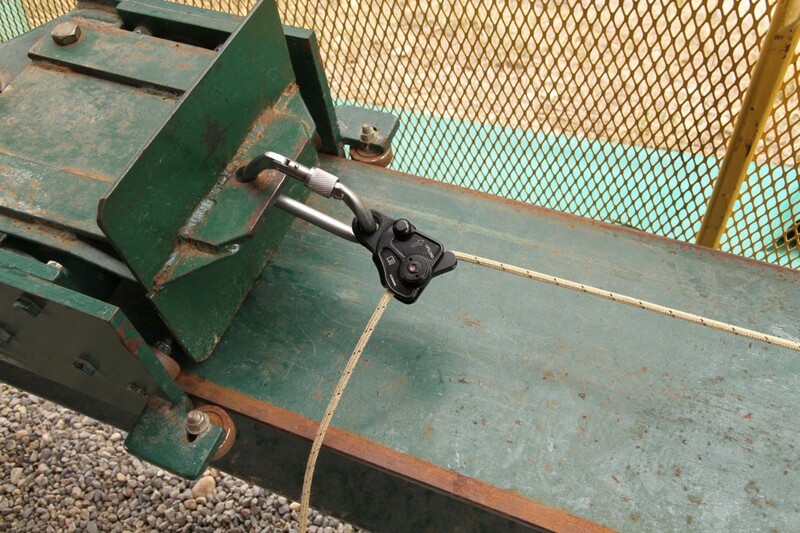 We did slow pull tests with the Quickie Ascender™ on different micro ropes (New England and Sterling). This test simulates hauling or raising a load. 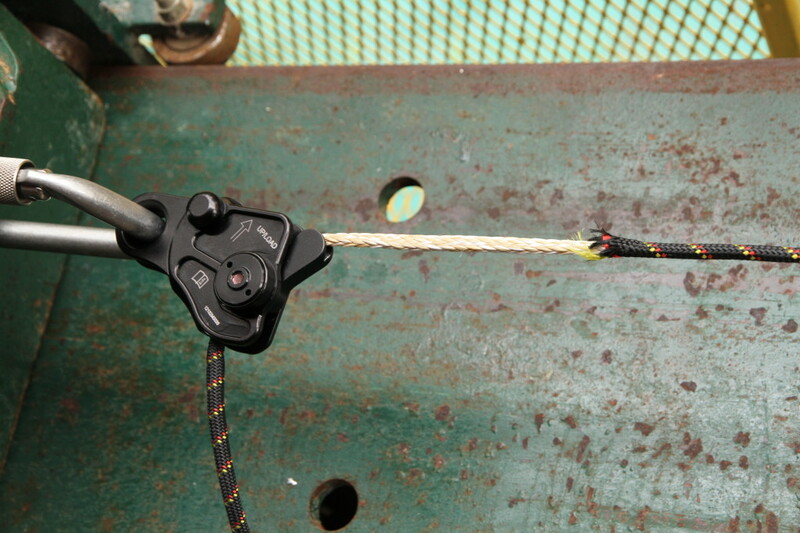 As you can see, the answer is no; please don’t use any other rope with your TRACE™ Systems devices. 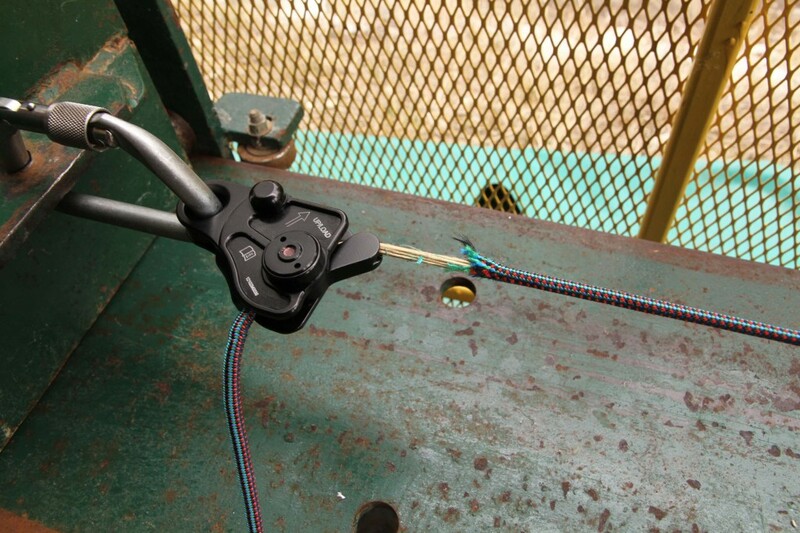 If you’d like your rope tested with our devices, please send us a sample and we would be happy to do so. We have done two separate posts here on Private Bloggins on the benefits of “Kits of Convenience” and before I introduce the Surgical Airway Set (SAS™), please take a moment to review them both so that you will understand why these types of kits have been created and the benefits of having prepackaged kits of convenience. I have not included any confirmation devices such as End Tidal CO2 Detector, Auscultation, Capnography, etc. as they are not included in the kit. Refer to your agency’s protocol to confirm advance airway. The Product Optimization Guide for the SAS™ and demonstration video are included in this post. Medicine never stops evolving and neither do you. Contact CTOMS™ for training and products, but don’t just take our word for it, try one of our kits of convenience for yourself. 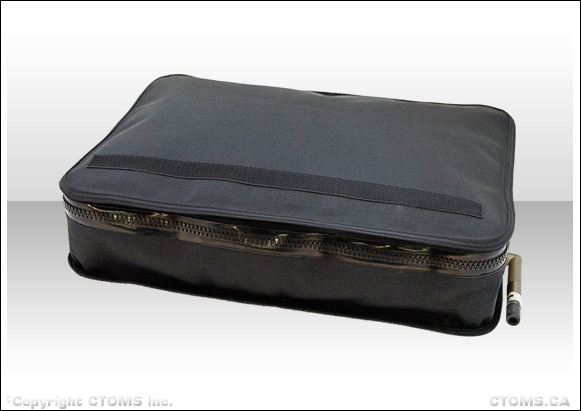 SAS™ Kit POG by CTOMS Inc.
What Color is Your Rack? I’ll preface this by saying I’m not a camouflage expert, and I’m sure the PhD’s are going to rip this apart. 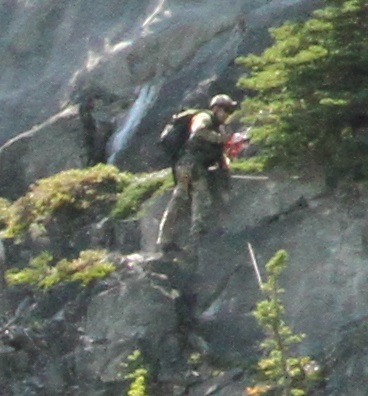 The point of this post is to demonstrate how color is a contributing factor in detection, within the context of Tactical Assault Climbing. 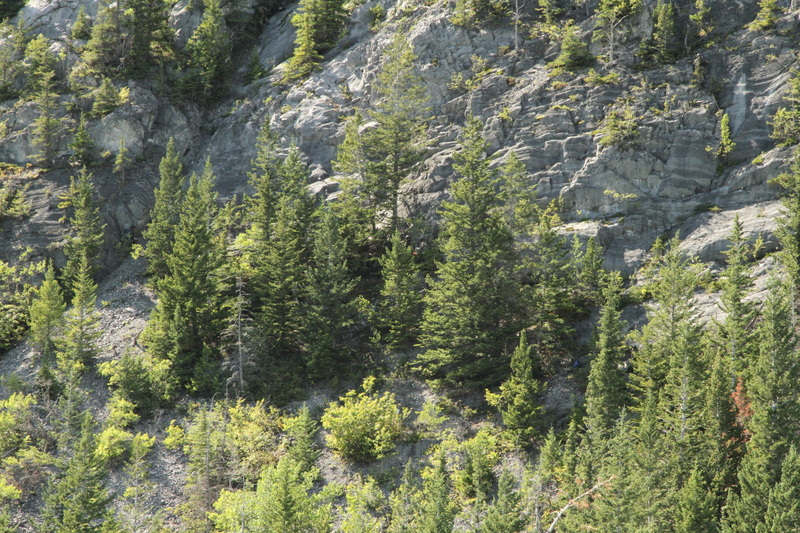 The images in this post are not touched up, Photoshopped or altered in any way other than being cropped and zoomed. When I think of TCCC, I think of how the military critically looked at the way it was teaching its medics to treat casualties. What they realized was that they were teaching them to be civilian paramedics but then expecting them to treat very different casualty types in very different environments than that of civilian paramedics. The change was desperately needed and has since proven very effective, customizing medical treatment to combat injury patterns and battlefield environment. The same is very true for climbing. 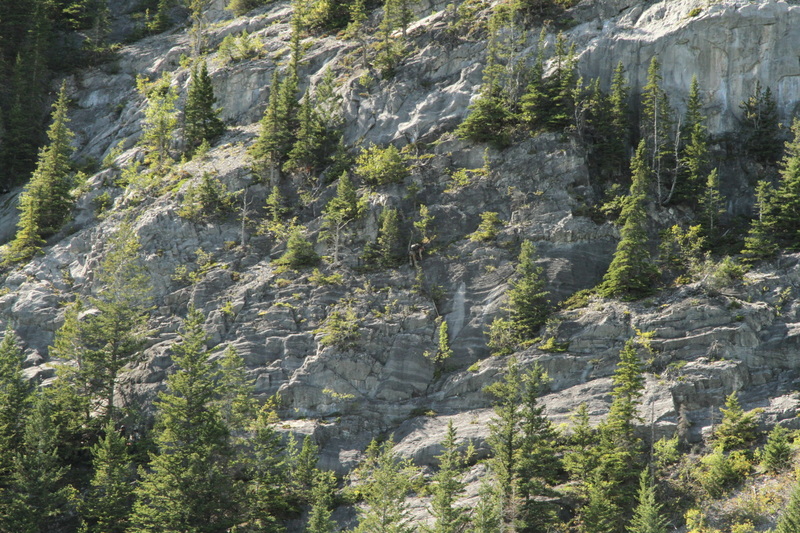 The old way was to teach recreational climbing, with recreational equipment to soldiers. We’ve come a long way, and the GREEN Kit is a significant contributor to that progress. 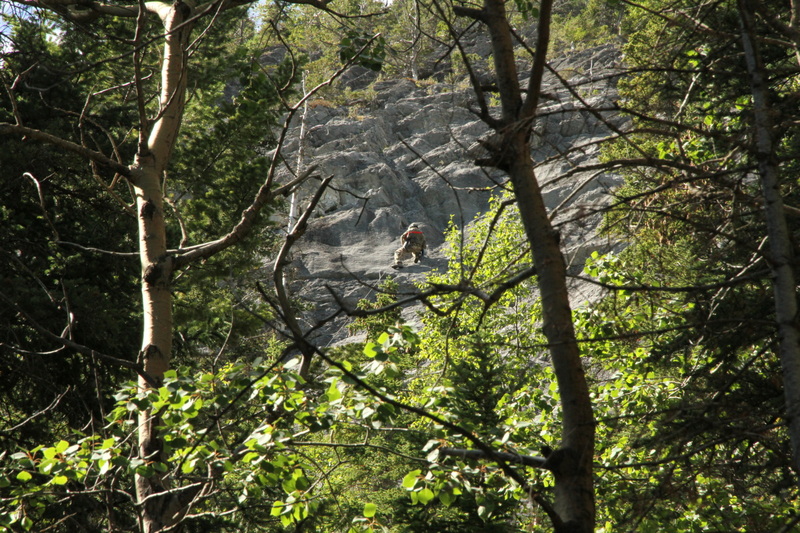 Below are a series of photos that depict military style assault climbing. You’ll see that your eye is immediately drawn to the contrasting color, no matter how small. Red’s and blues are the most unnatural in the demonstrated environment and therefore should catch your eye first. Zoomed in, you’ll see how a simple red sling can make a huge difference. Click on the image to see it in full resolution, then click the ‘Back’ button to return to the post. Note how the red catches your eye, even when the image resolution has been reduced to fit on this page. 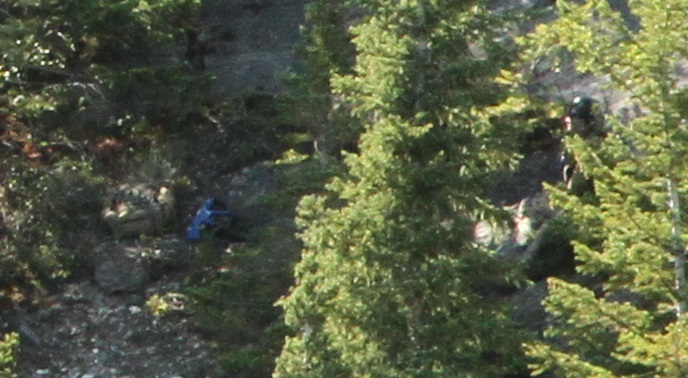 This is a close up of the first image. You can see how the red sling contributes significantly to position compromise. This image is not enhanced and you can see just how bright a colored sling can be when hit by the right light. In this image, they are doing it right! 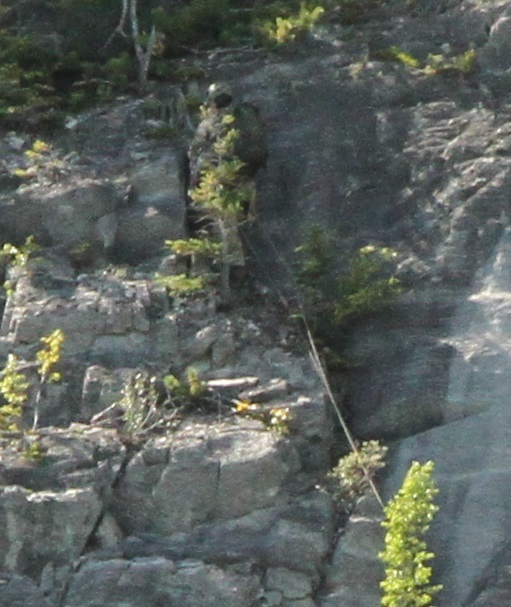 Good use of camouflage for the belay with not apparent color contrasts other than the rope itself. 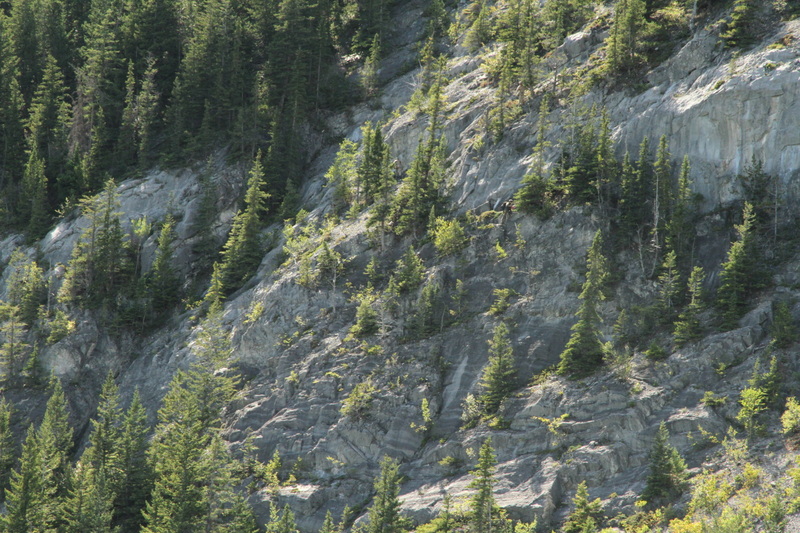 A decent concealed belay position. Here your eyes are immediately drawn to unnatural orange and blue, highlighted in the next image. Note how they are keys to position compromise. 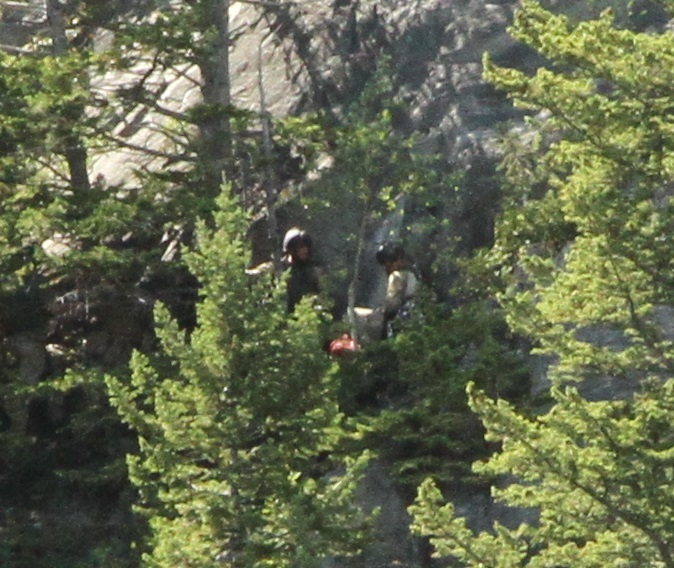 A close up reveals an orange stacked rope. You can see how when bright colored objects are grounded together, they look even brighter. 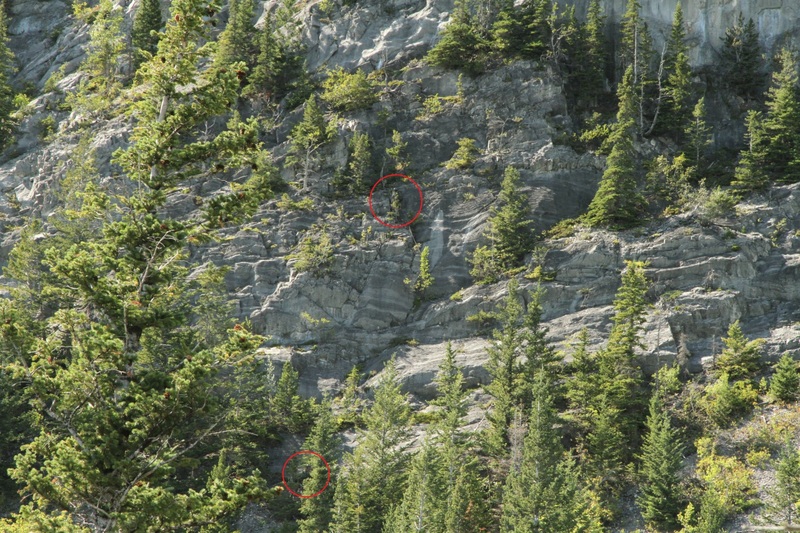 The rope is much more of a compromised stacked, then run out up a route. Blue is a very unnatural color here and will catch the eye very easily. Here we see a training blue gun. 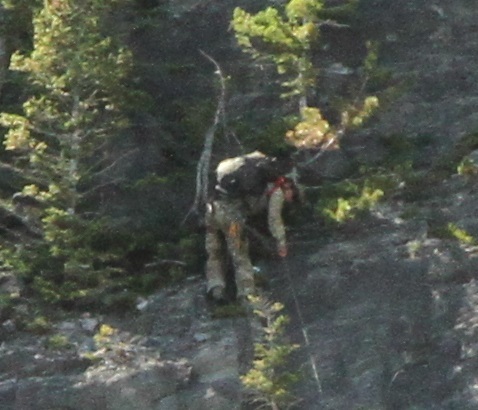 Though the shape of this climber is part of the compromise, you’ll notice the orange sling on his shoulder, and though maybe not immediately noticeable, the yellow sling hanging off his harness. 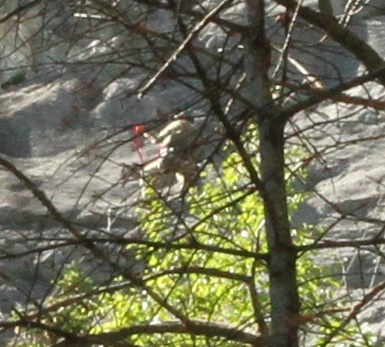 Note the orange/red sling on his shoulder and the yellow sling hanging off his harness. Another example of coiled orange rope. A close up of the coiled orange rope. Hopefully that adequately demonstrated the importance of color in selecting equipment for use in a tactical environment. Article written by Guest Blogger WillG, a CF Medic with multiple deployments. One of the premier tactical light companies promotes the concept of the “The Tactical Trinity”. They basically mean a weapon light, high intensity/low intensity search light on your fighting rig and a smaller backup light in your belt kit or clipped in the pocket of your pants. This is a great concept for gunfighters and I highly recommend it for frontline medics and armed LEO medics. When it comes to casualty care in adverse lighting conditions, additional lighting resources are required. First of all, and it may seem self-evident, weapon lights should never be used for casualty care. While they provide a bright light source, their use would require the muzzle to laser the casualty and the medic. Not a good practice. I mention it because I have seen it, both in training and operationally. Handheld lights provide enough light but their use takes a hand away from casualty care. There are no interventions done by a provider on a casualty that require one hand. Tourniquet application is done one-handed only in self-care. A well trained operator can put a tourniquet on in the dark relying only on tactile senses. Besides, gunfighters have better things to do than hold a flashlight. They should be providing security, getting a litter ready, or calling for evac assets. For a tactical medical operator, lighting choices really come down to two options: headlamps/helmet lights and rig mounted lights. Each has its pros and cons. 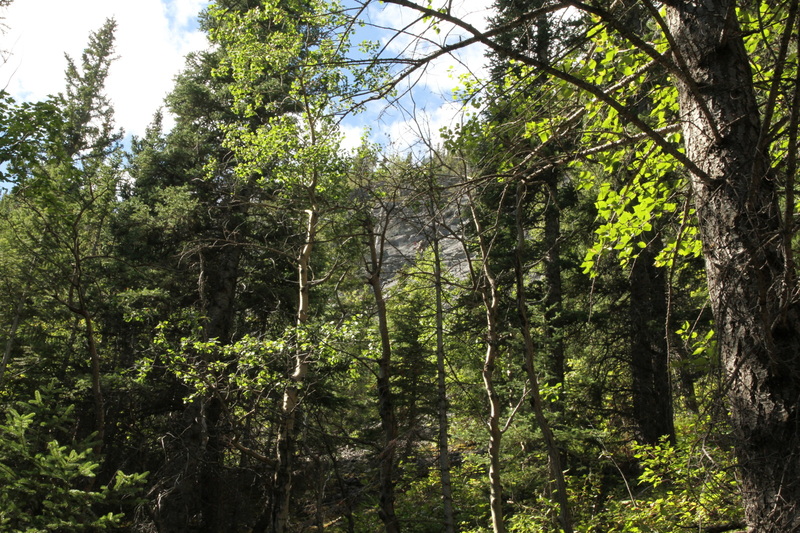 Most commercial headlamps are designed for outdoor recreation. Tactical versions of these lamps are usually available in a black or camo colour version of the outdoor light. Some come with coloured lenses, usually red. All-in-all, not good for casualty care. Remember, agencies and military units purchase for the majority which are gunfighters. Blue and green lenses are available for most high quality headlamps but usually in separate kits. Helmet lights are designed to be mounted on the provider’s helmet. There are many helmet lights designed for military use. Many have options such as multiple colours of light and some even include IR settings. Rig mounted lights are mounted to the operator’s fighting rig. Most have swiveling heads to allow the light to be directed to the required area. 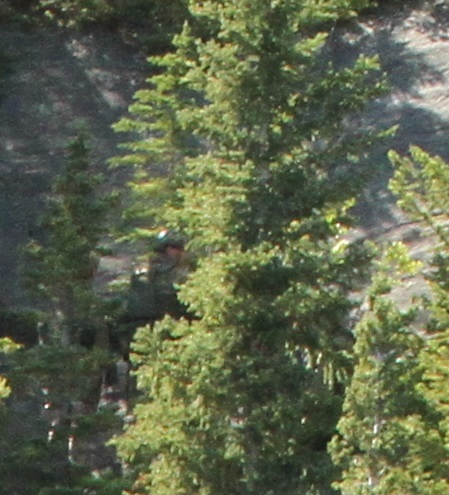 Military-use vest lights usually have multiple intensity settings; some include a strobe feature. This allows the light to be used as a backup IFF/signalling device. Most have the ability to project multiple colours of light; a few include IR wavelengths as well. Also, there is a training aspect that must be considered with all light sources. Under stress, most people forget to turn their lights off when making movement or after use. This is a training issue and must be addressed during scenario play. Remember, two is one and one is none. I recommend having both a helmet light and a rig mounted light. One is back-up for the other. Head mounted lights are very useful in advanced airway techniques and interventions of fine motor function. Vest mounted lights are good for keeping light low and on the casualty. This is very important in a Tactical Field Care Bubble because light tends to draw fire. Night is another day in tactical operations. Most tactical operations either take place in low light or, at least, begin in low light. A tactical medical operator must be prepared to treat casualties under all possible conditions. Control the chaos. Get a light. Better yet, get two. I thought I’d talk a little bit about my experience with tourniquets so that you can learn from my mistakes, finishing with a summary of some of the most current data. In 1996 TCCC was born with Butler’s paper. Unfortunately that didn’t really catch on due to a general resistance to change within human nature and a lack of requirement – no war. Fast forward to 2001 during preparations for my Afghanistan deployment, trickles of TCCC would infiltrate our training in the form of a general overview briefing on the topic. The take home point: contrary to everything you’ve been taught, tourniquets are a priority in combat. So, armed with this new information, my civilian EMT certification, and an elastic IV tourniquet that I got from a medic buddy, I packed my ‘IFAK’ (though the term wasn’t used until years later). Now understand that in 2002, a CF IFAK was two small pillows called Field Dressings circa 1952! Having pride in my EMT qualification as an infantryman, I got an old Jungle First Aid Kit Pouch, probably from the same medic buddy, and stuffed it full of what I though was important at an EMT level, including my little elastic tourniquet. The C-A-T® and SOF-TT hadn’t even been invented yet. Fast forward to the night of 17 April, 2002 and I’m kneeling beside one of the best and strongest Sgt.’s in the Battalion, and a friend of mine at that. It’s night in the desert on a sandy slope of a wadi. In the dim light of my headlamp and the burning helmet cover that lay beside us, I’m digging in my ‘IFAK’ for my ‘tourniquet’ because that is all I remember from the briefing. Staring back at me is a hole in my friend’s leg larger than my fist, steadily soaking the sand and all the dressings we throw at it with blood. My medic friend joins me. He’s closer to his leg so I pass my tourniquet to him and tell him to put this on. He says he thinks we should try direct pressure first. He’s the boss, so I pack my tourniquet away. I go look for other casualties in the dark chaos and finding none so I make my way back to the original casualty. At this point, the medic agrees it’s time to try the tourniquet. So I dig it out again, pass it off, and history is made. It was the first application of a tourniquet to a Canadian Forces soldier, by a Canadian Forces soldier probably since the Korean War. But there were some hard lessons learned. The first tourniquet applied to a CF soldier, by a CF soldier since the Korean War. The Sgt. lived despite, unbeknownst to us, our best efforts to the contrary. Read that sentence again. It’s actually pretty heavy to personally come to that realization. That tourniquet didn’t have a hope in hell of ever stopping arterial flow in his muscular thigh. A venous tourniquet, meaning a tourniquet applied tight enough to stop all venous blood return to the core, but still allow arterial blood into the limb (and out the wound) can very easily kill a casualty. And if it doesn’t kill them, I believe this is where the dogma of ‘tourniquet on a limb means you lose the limb’ came from, it can create a compartment syndrome and speed tissue necrosis much faster than a properly tightened tourniquet. What saved the Sgt. was a rapid MEDEVAC and short time from injury to surgery. As I said, a hard lesson learned, very early in the war. So what’s happening these days? If you don’t read the JSOM, you should. Winter 2012 edition has a published retrospective study called Forward Assessment of 79 Prehospital Battlefield Tourniquets Used in the Current War. This is what it says: 79 tourniquets applied to 65 limbs on 54 combat casualties were studied. Now here’s the eyebrow raiser: 54 of the 65 limbs or 83% arrived at the forward surgical team WITH a distal pulse, and 11 of the 65 had no distal pulse. Of the limbs with the effective tourniquets applied (no distal pulse), half of them (5) had return of pulse upon release of tourniquet. And of all the injuries, only 17 of all 65 limbs actually had injuries requiring a tourniquet. Now that last point is not as important. In combat it is better to apply a tourniquet when in doubt than to risk missing a life threatening bleed. The data supports this rule. But the rest of the data is telling us something important; tourniquets are either not being tightened enough, or they are coming loose during transport. Chew on that and come up with your own solutions. It’s a problem. 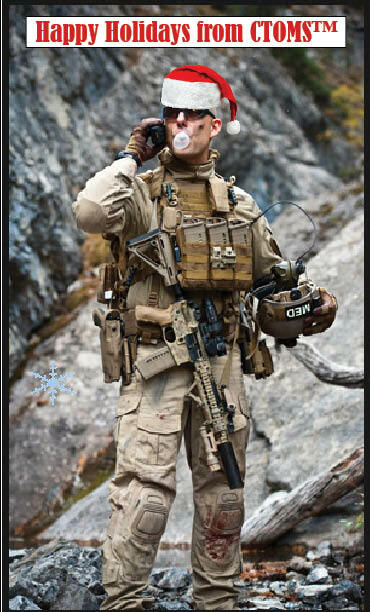 Happy Holidays to all of our friends, families and to all of our troops! There are three places your primary weapon doesn’t belong: on the ground, on the ground and, finally, ON THE GROUND!!! Through multiple training venues, as both student and instructor, I learned this lesson before the crucible of combat. Under stressful conditions, weapons and gear that are not attached to your body WILL be walked away from. Many people will argue that THEY will never walk away from their weapon or gear, but at the end of most TCCC training scenarios I have a collection of gear and rifles to return to the students. Most of them actually. By the end of a TCCC course, the students have gotten the message about weapons and gear. As a tactical medic or when tasked as a first responder, primary weapon sling selection becomes very important. The reality of combat and tactical operations is that weapons are carried more than they are fired. So your sling must allow for reasonable comfort when carrying in an employable position for long periods. When actively engaged, your sling must complement accurate shooting, weapon transitions, immediate actions, remedial actions and tactical movement. Finally, when treating casualties, your sling must secure your weapon so you can have use of both hands, can move patients and not cause further injury to casualties or those around you. An accidental muzzle strike from an unsecured weapon flailing about can leave a rather nasty laceration. This is a tall order for a piece of tactical nylon!! My experiences have taught me that the tactical medical operator needs a high quality two point adjustable sling. 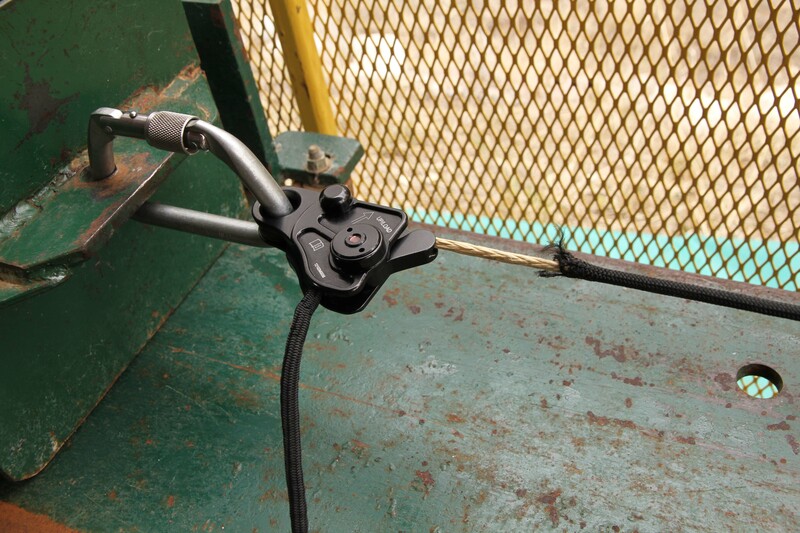 This style of sling attaches to the weapon at two points; usually to the fore stock/rail and the stock or sling plate. The length of the sling must be adjustable using one hand – longer or shorter as the situation dictates. This supports different load-outs, varied shooting positions and engaging from the opposite shoulder. When committed to casualty care, the weapon can be shifted to the medic’s back and secured by tightened the sling. 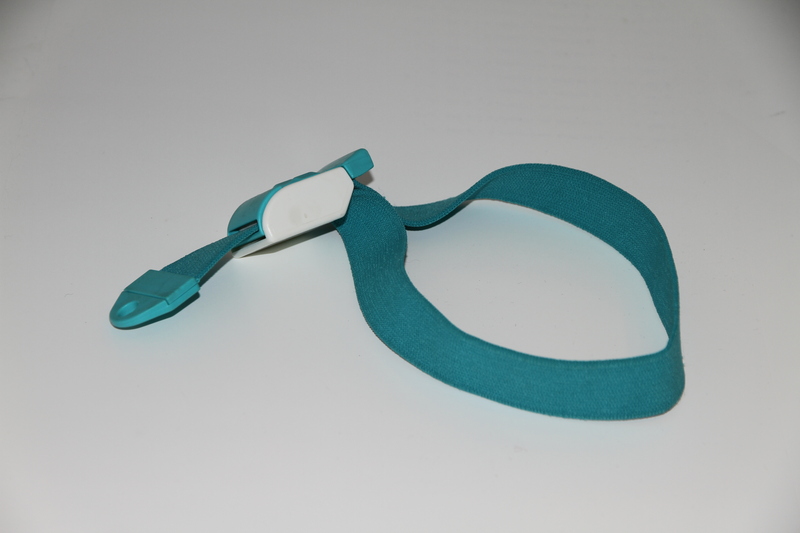 This frees up the use of both hands and allows the medic to make movement with or around patients not causing injury to casualties or your mates. A good tactical sling that compliments your skill sets is an important investment. Fight the battle. Control the chaos. Do not fight your gear. Fake It Till You Make It! The Counterfeits Are Here! By now I hope everyone is well aware that counterfeit tourniquets, both C-A-T®s and SOF®-TTs are out there. This is infuriating when you consider the possible consequences. The U.S. DoD has issued warnings including memo’s and picture presentations with the hopes of widest dispersion. Apparently the Afghan National Army was taken advantage of, and ended up procuring hundreds of thousands of these counterfeits. Of course with numbers like that and the integration of forces, cross contamination is quite possible if not probable. But that is Afghanistan. A young, maybe naive procurement system, easily taken advantage of, especially looking for a cheap alternative to the high quality North American standards that the C-A-T® and SOF®-TTs are manufactured to. That could never happen here, right? Or could it? Forget the fact that the counterfeits are in blatant Trademark and Patent violations. Forget the business ethics and morals of the sellers of these products. The fact that thousands of these counterfeit tourniquets have entered the country, been ‘officially’ procured by a provincial procurement authority (of medical equipment!) and are waiting to be issued to uniformed public servant law enforcement officers as a tool to save their life, should be a concern for every single tax payer and every single Canadian. This is equivalent to procuring officers toy guns, literally. If they have to shoot someone to save their life or to protect the public, the toy gun isn’t going to do any good. And guess what? The toy tourniquet isn’t going to either. I have personally tested some of these counterfeits, and they break easily. Very easily. Too easily. There is no chance of them stopping a life threatening bleed because there are no manufacturing standards (or ethics or morals for that matter). They are a ‘toy’ intended to be a replica for war game players to ‘look’ the part with all the detailed accessories of a soldier, but without the price tag. And they have put Canadian public servants – law enforcement officer’s lives at risk. The other reason this is important is because it means that not only have public agencies procured these, but now that they are here! And the potential exists for the market to flood with them. And the ill informed will be taken advantage of and more lives put at risk. Only purchase your tourniquet’s from reputable, proper and legal supply chains. When in doubt, contact the actual manufacturer: C-A-T® is Composite Resources and the SOF®-TT is Tactical Medical Solutions. If you find a counterfeit – destroy it. DO NOT return it to the seller as they may potentially resell it. Pay attention to ALL your medical equipment as there are counterfeit bandages and hemostatic dressings out there as well, and who knows what else is in the works. It has already been proven that some brands of bandages manufactured in China potentially contain dangerous bacteria. The really dangerous part is that they copy the manufacturer’s label, including logo, address, serial numbers and NSN’s. 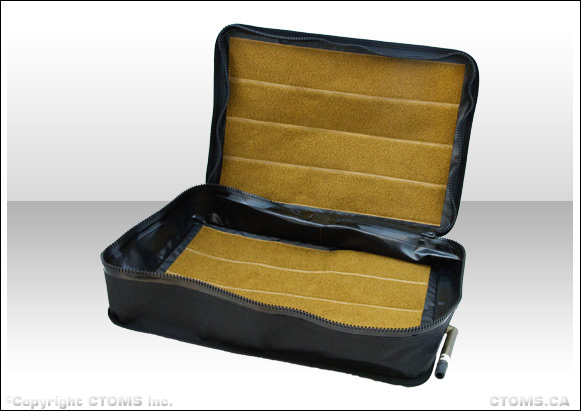 If you have ANY questions on counterfeit tourniquets or the safety of medical equipment, please contact CTOMS™. After all, this is serious business.